What Would A True The Dark Knight Sequel Have Looked Like? Happy 10th anniversary, The Dark Knight. Christopher Nolan's comic book epic was released a decade ago this week, and for many it remains the gold standard in superhero movies. So much so that, along with all of the pale imitations that followed, its own sequel couldn't really come close to matching it in terms of quality. That's not to say The Dark Knight Rises is a bad movie, it's just not The Dark Knight. 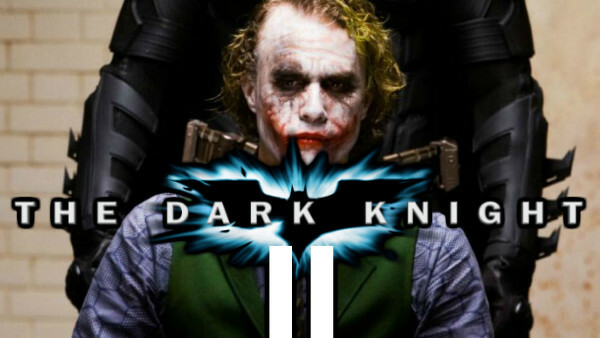 Furthermore, though, it's not really a proper Dark Knight sequel, either. The closing chapter of Nolan's trilogy brings things full circle by narratively and thematically linking back to Batman Begins and the League of Shadows, but it means that, a couple of references aside, the middle entry largely stands alone. A big part of the reason behind that is the tragic death of Heath Ledger, because even though Nolan wasn't sure he'd make another one at the time of The Dark Knight's release, had Ledger lived then he'd have at least been a factor in the planning of the third and final entry. His Joker casts such a huge shadow not only over this trilogy, but every comic book movie villain, that it's fascinating (if a little bit sad) to think of what a real follow-up to The Dark Knight might've looked like.